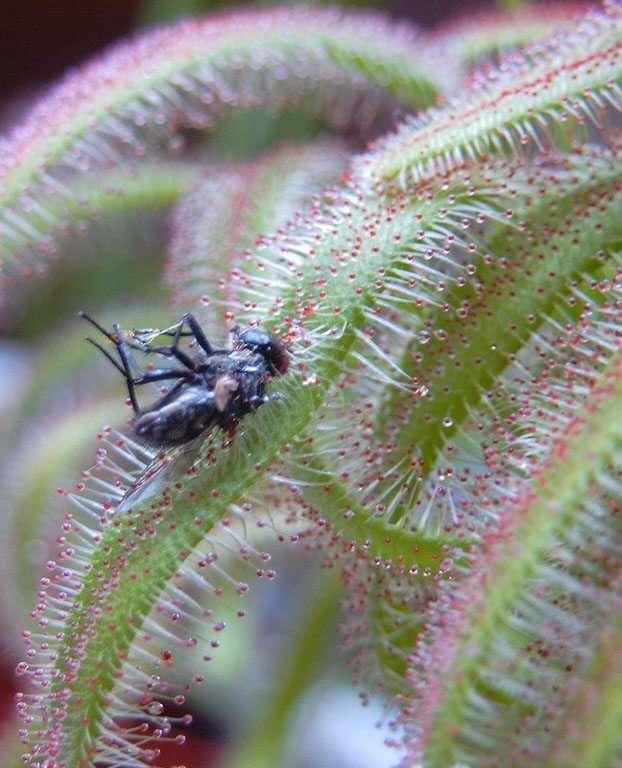 I’ve heard Drosera filiformis referred to as nature’s anti-aircraft gun for its ability to snipe flying insects out of the air. 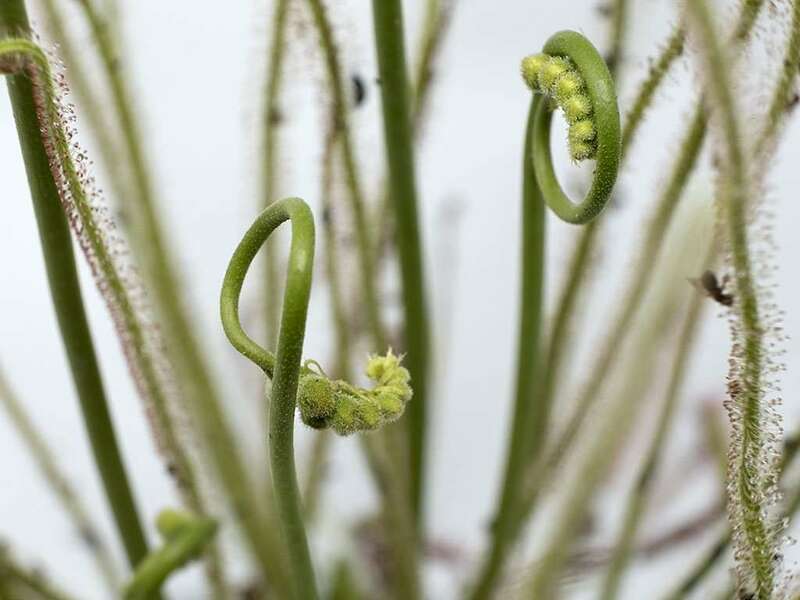 It’s more commonly called the thread-leaved sundew due to its slender, filamentous leaves. 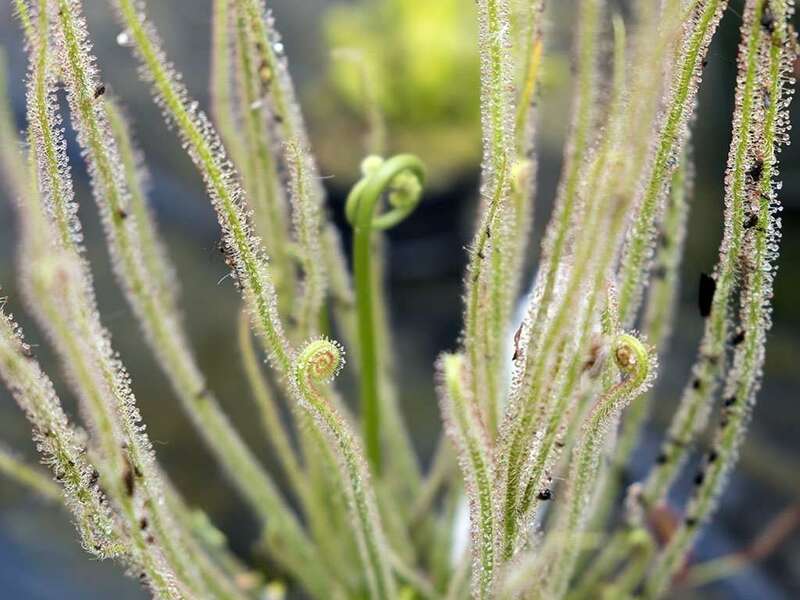 These leaves unfurl from a center rosette, reaching up towards the sky in an effort to tempt low-altitude insects into taking a detour to Sticky Town. 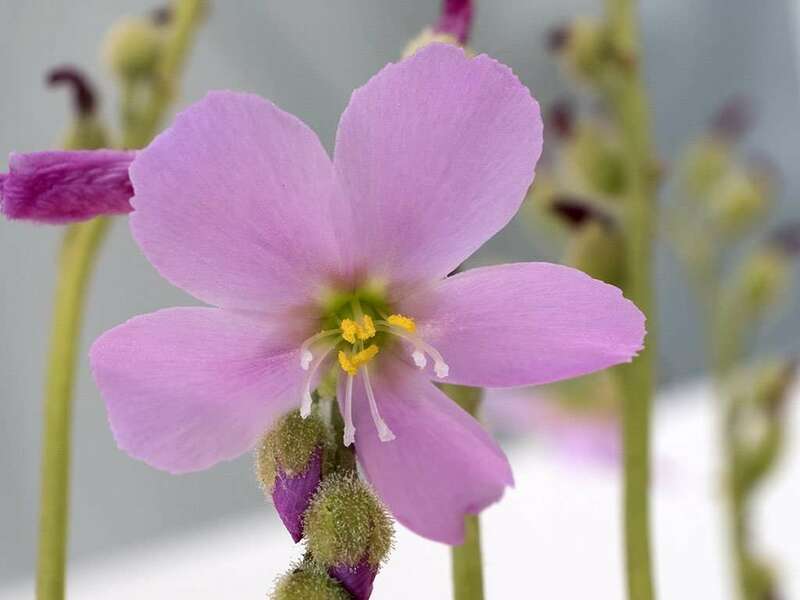 There is a bit of confusion around the taxonomy of Drosera filiformis. It’s either A. one species with two varieties, B. two separate species, or C. two subspecies. Let’s assume for a moment that it’s one species with two varieties. 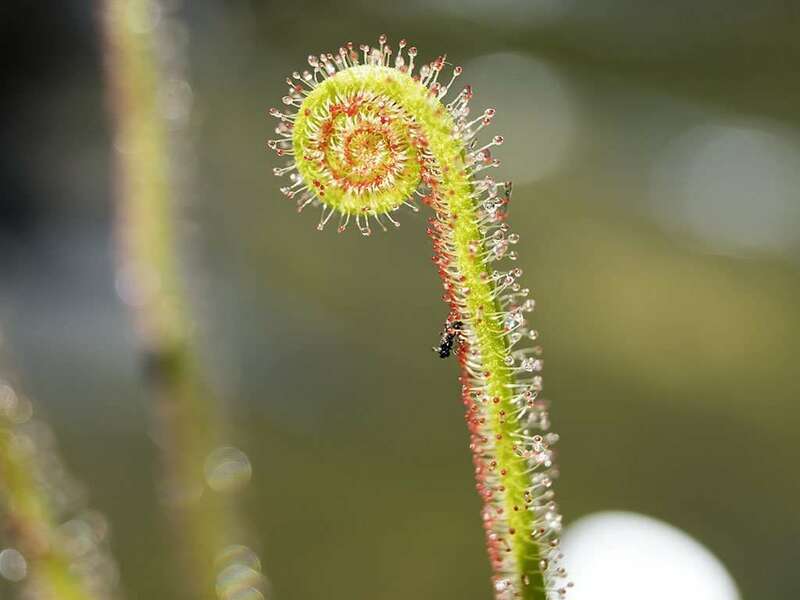 At the end of the day, however it’s ultimately classified, one thing is certain – it’s a beautiful and unique sundew that every carnivorous plant enthusiast should give a go. 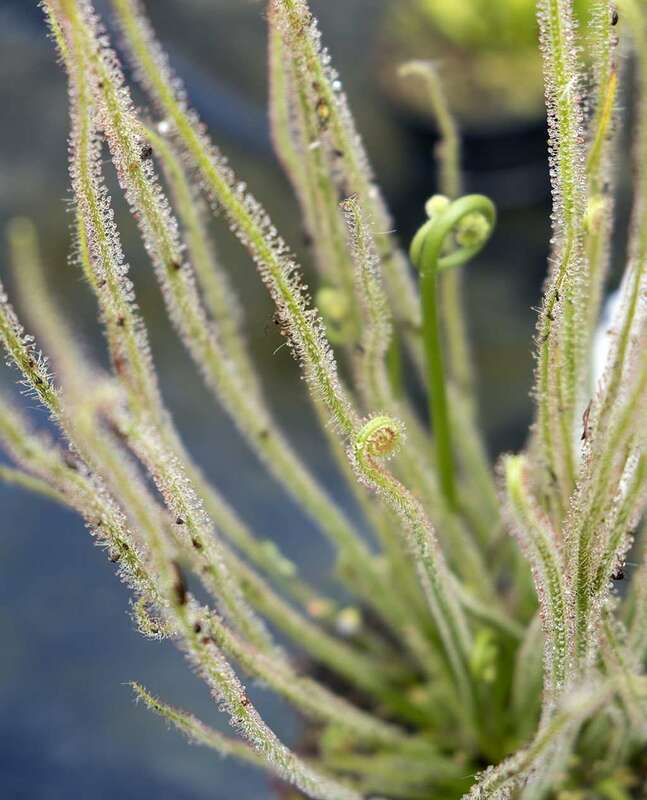 Drosera filiformis grows along the eastern seaboard of North America, spanning through Canada and the United states from south western Nova Scotia, through New England, and down into Florida where older plants go to retire. 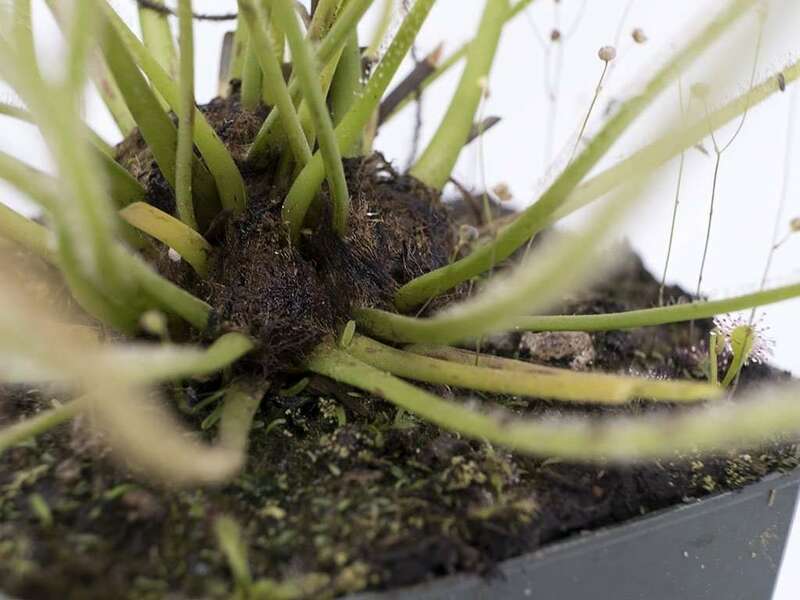 Like many other carnivorous plants, D. filiformis requires a dormancy, dying back into a hibernaculum, or a winter “bud” during cooler months. At this point, it may look like a dead plant, but it isn’t! 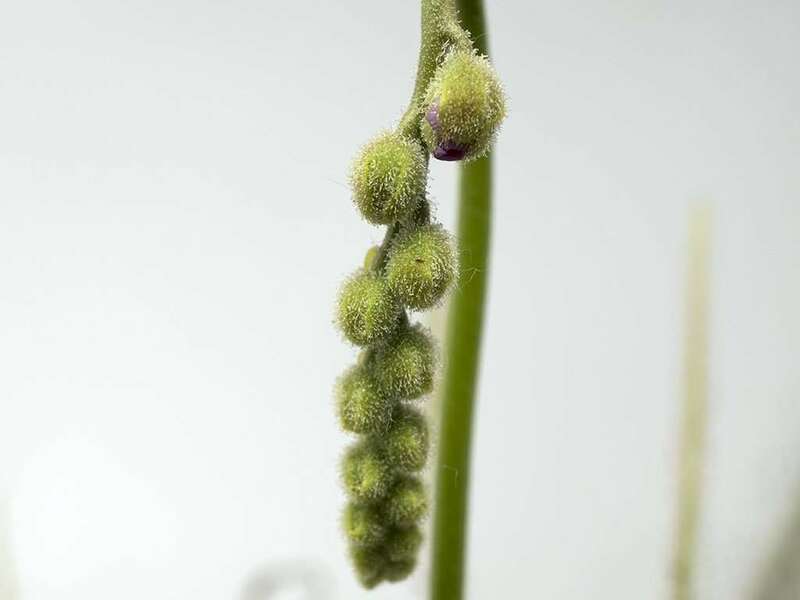 This bud helps D. filiformis conserve energy during a time when conditions in its natural environment might otherwise be too harsh to survive. Think of it like a turtle ducking into its shell for safety, but for a few months at a time. 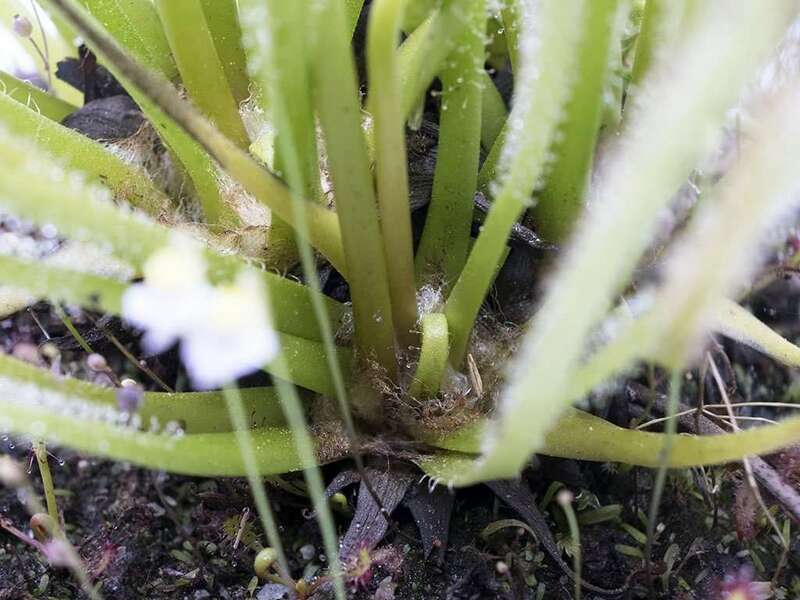 Seasonal dormancy and similar growing conditions makes it a great candidate to live alongside Venus flytraps and pitcher plants in bog gardens. So sticky, so sweet. 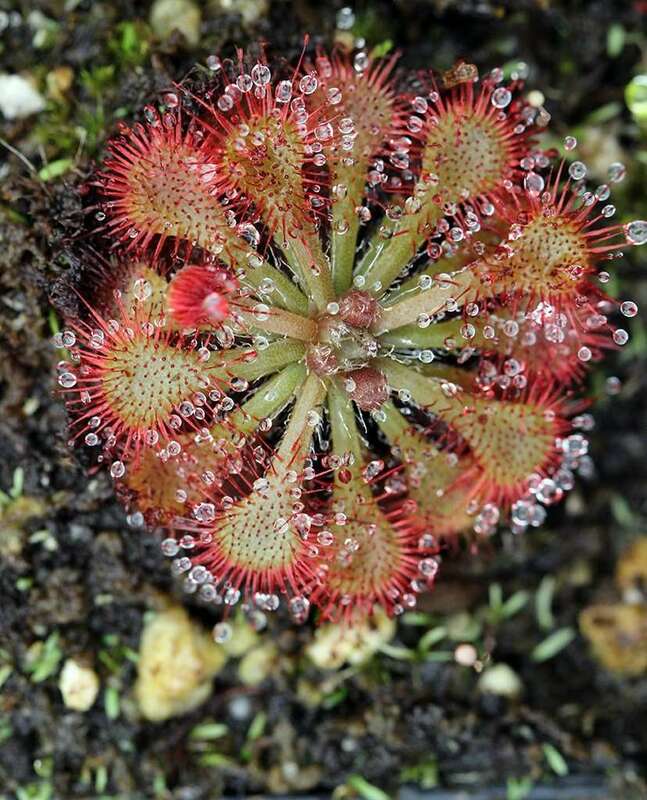 The traps of Drosera filiformis work like many other sundews, producing droplets of “dew” at the end of glands protruding from the leaf surface. This glistening dew looks tasty to insects, and they land on the leaf hoping for a free meal. Instead, they become the meal. 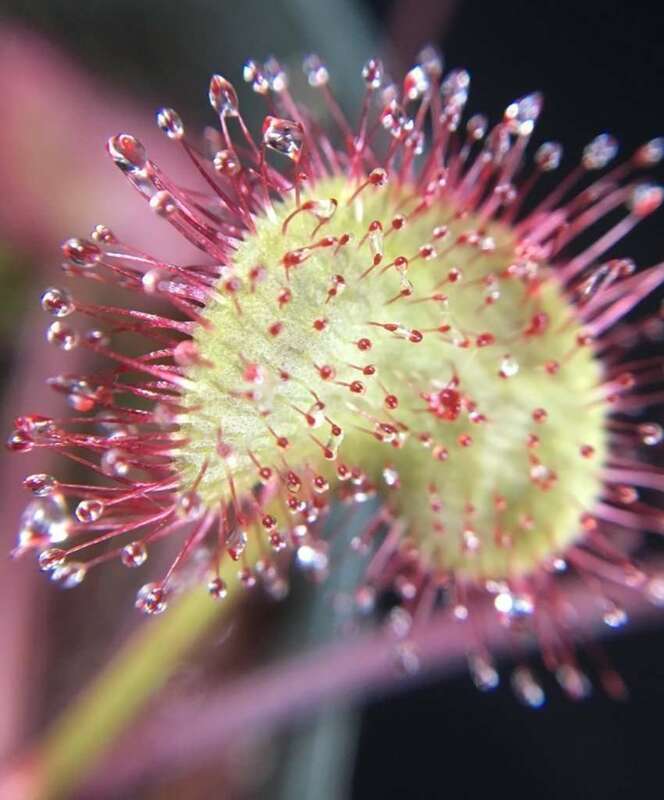 The dew is sticky, ensnaring, and traps the insect on the leaf surface where digestive enzymes digest soft tissues and absorb the delicious nutrient slurry. 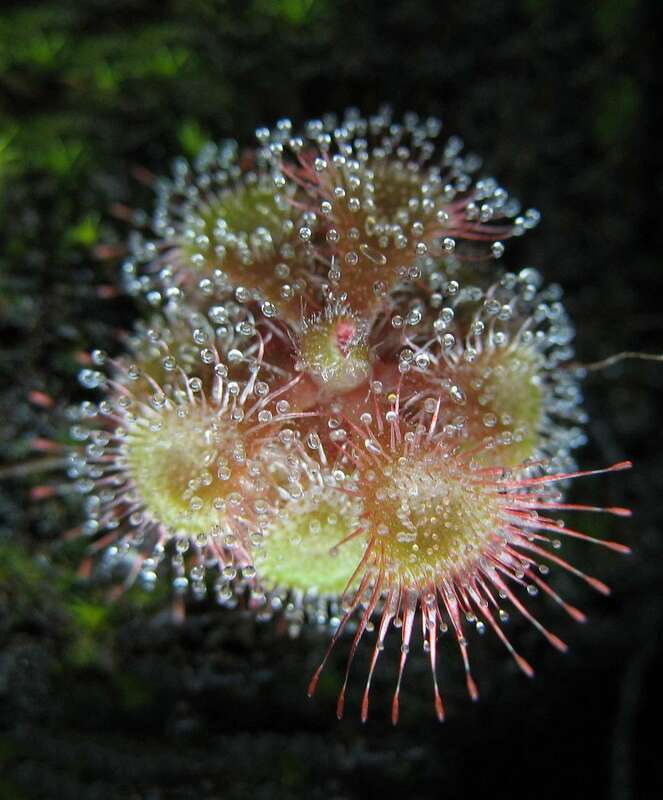 Unlike other similarish-looking sundews like Drosera capensis or D. regia, there is no pronounced leaf movement in D. filiformis. Instead, leaves remain upright and tall, continuing the hunt even as they digest prey. 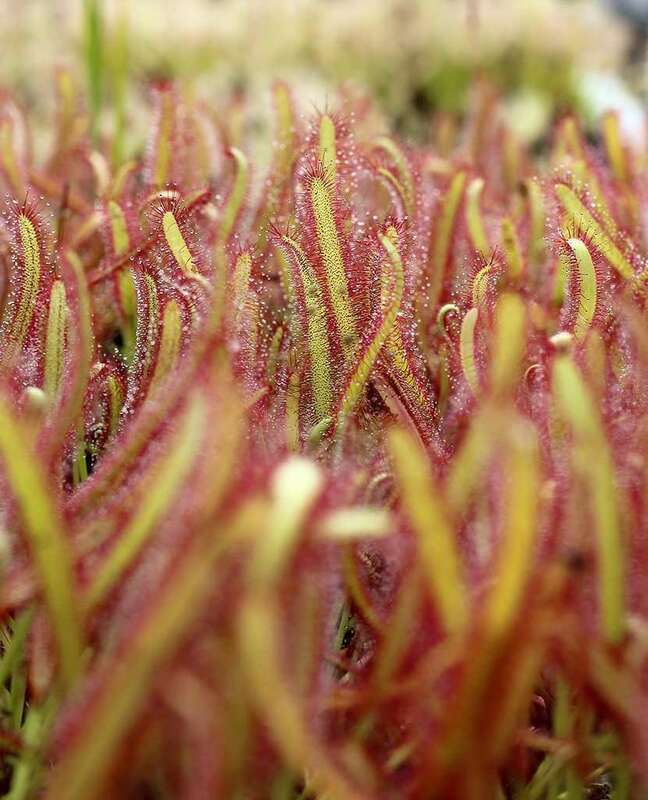 The growth point of Droesera filiformis is fuzzy. How cute! 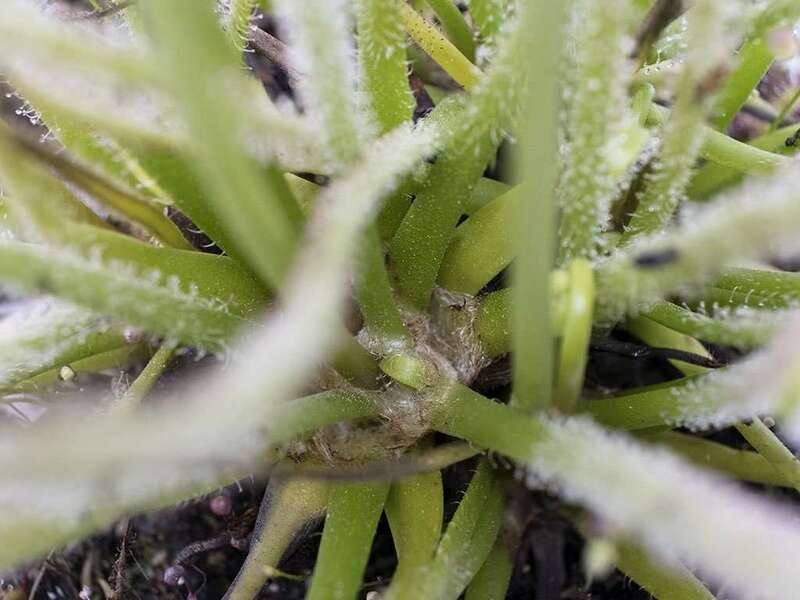 During winter dormancy, all leaves will die back to this fuzzy central rosette, and it will turn a brownish-black color. See the final photo in the series, above, for an example of what this looks like. 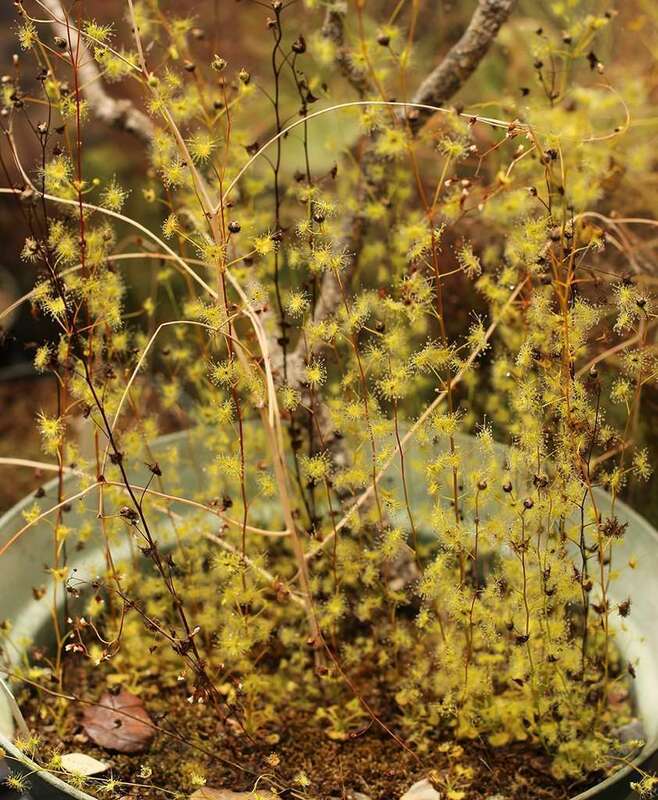 Don’t worry – your plant is alive, so keep watering it until it sprouts back to life in the spring! 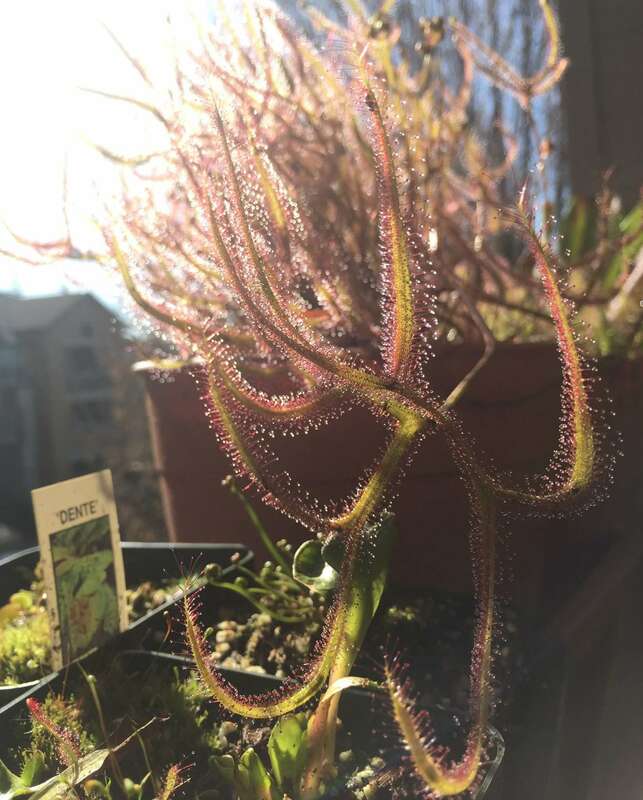 • Drosera filiformis var. 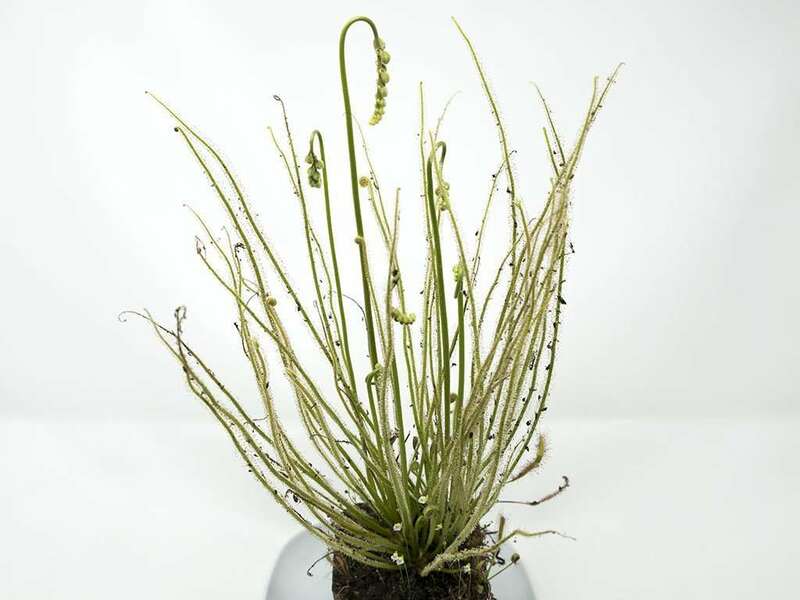 filiformis has long threadlike leaves 6 inches (15 cm) tall with red glands. A specific colony of these found in Florida and known as the ‘Florida Giant,’ has leaves almost twice as tall. 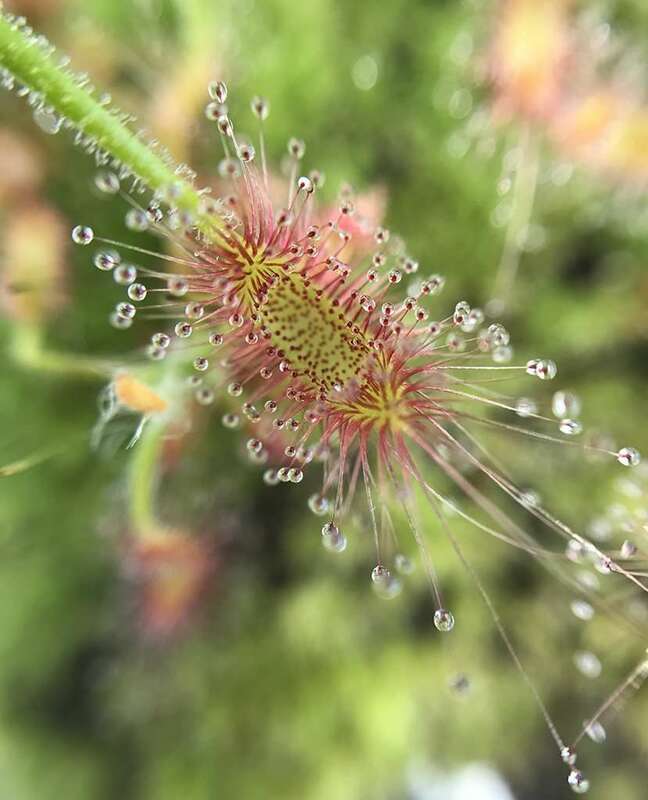 • Drosera filiformis var tracyi is similar to the above, but with green glands and leaves that reach for the sky at 20 inches (50.5 cm) tall. 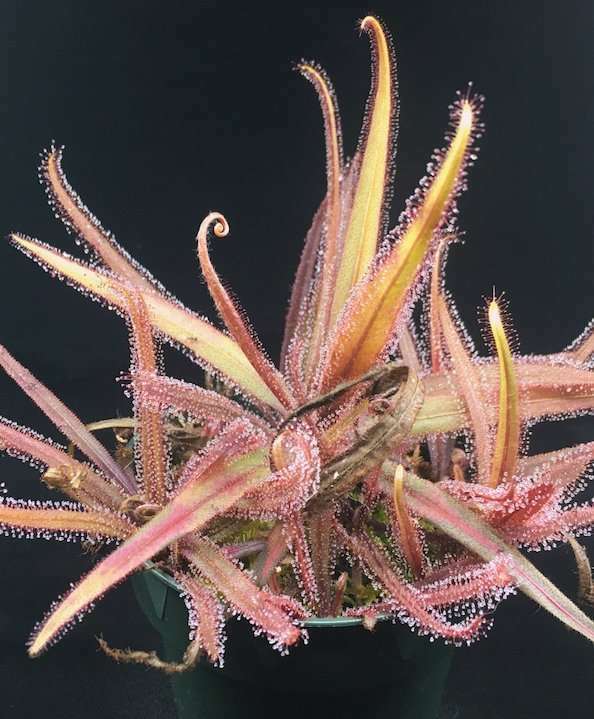 • Drosera ‘California Sunset’ is a hybrid produced by Joe Mazrimas between the aforementioned varieties. 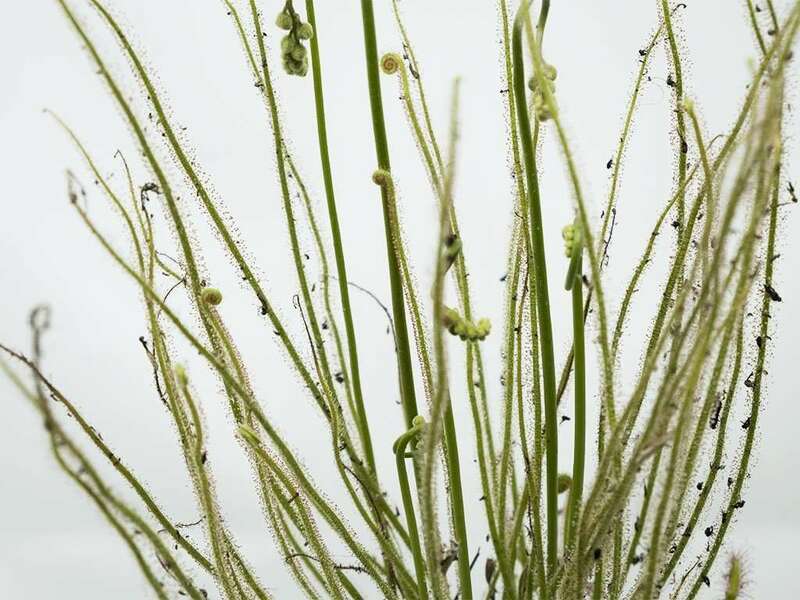 It has red glands and forms clumps, making it look like tall carnivorous grass. 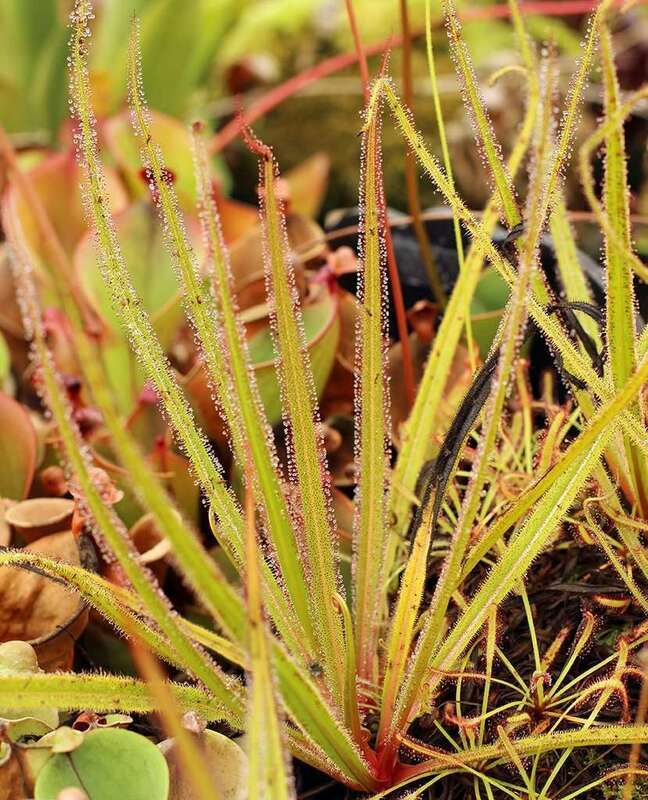 • Drosera x hybrida is a cute little D. filiformis hybrid with a curious history. 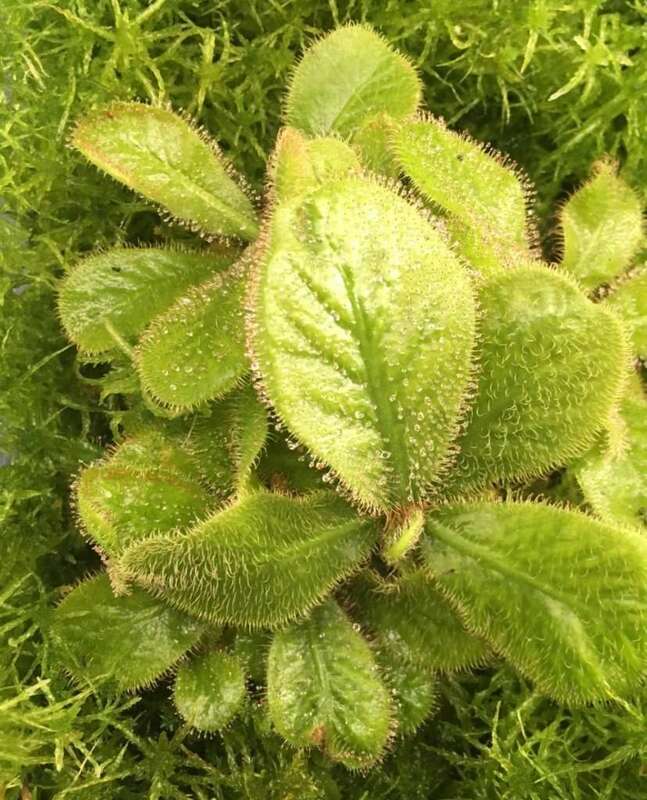 It has 3 inch (7.5 cm) leaves, requires a cold winter dormancy, and is sterile…ish? 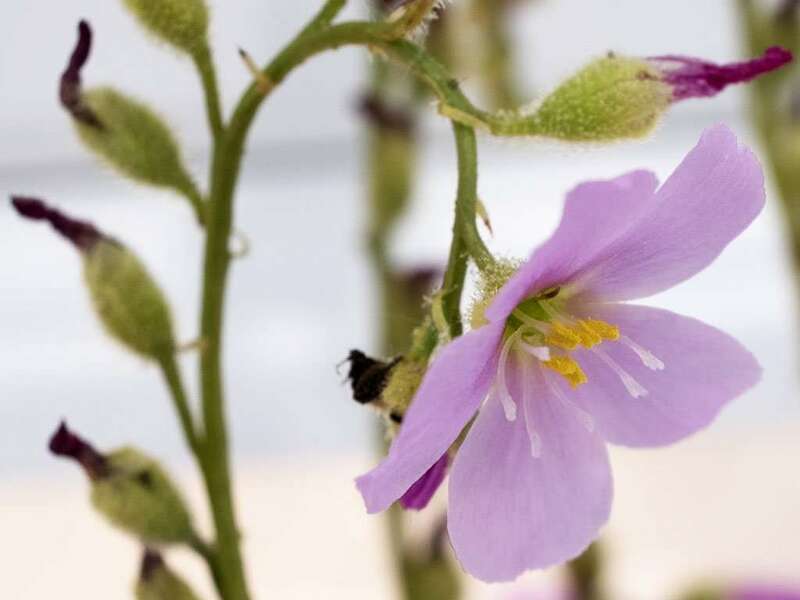 It was originally discovered by the botanist John MacFarlane in the 1890s and identified as a hybrid between D. intermedia and filiformis. It has been rediscovered near the New Jersey shore multiple times since, and entered cultivation in 1974. D. x hybrida was always thought to be a sterile hybrid. 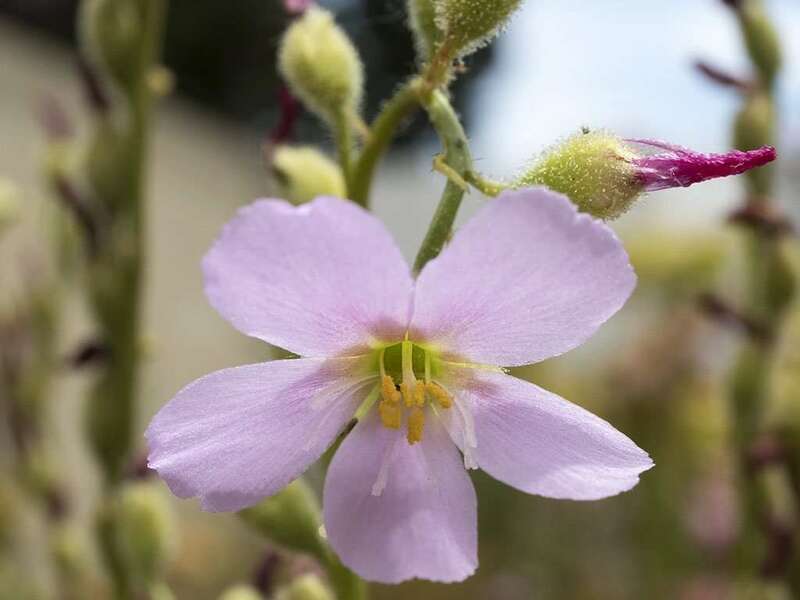 The plant was introduced to Butterfly Valley, California in the 1970s and, even though there were attempts to remove it as an invasive species, it kept popping back up. Turns out, the plants in Butterfly Valley mutated and started producing seed! Folks now believe it to be an evolutionary stepping stone to an entirely new species. Nature’s cool like that.